Hello! Today I have my RiRiMee design, using the polishes from May's Rihanna themed MeeBox (unboxing here). I thought all three colours would work really well together. I immediately thought of a mani using the Zoya neutral as a base for the WAH London red, and pairing it with the Danglefoot black holo. Here is what I came up with. Read on to find out more! To start off, I painted my pointer and pinky fingers with Danglefoot Nail Polish 'Higitis Figitus', and my middle and index fingers with Zoya 'Leah'. 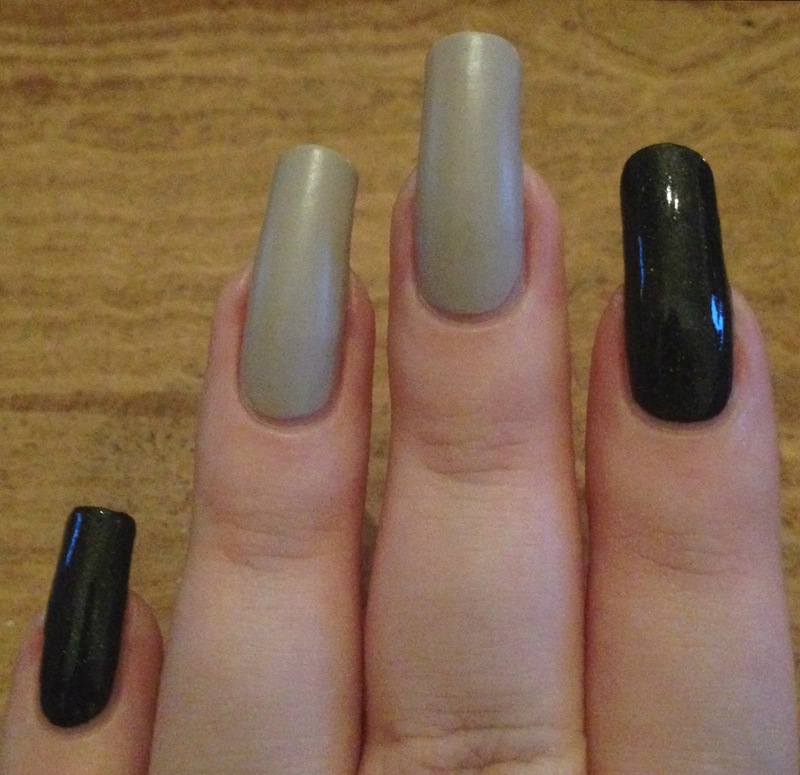 Both are shown with two coats and no topcoat (apologies for the poor 'in-progress' pictures). 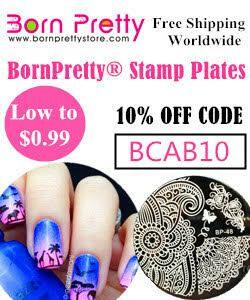 To create the pattern on my middle and index fingers, I used some full nail vinyls from Born Pretty Store (read my review on these here). I placed one on each nail, and pressed firmly to make sure all parts were fully stuck down. I applied a coat of WAH London 'Love My Team' over the top of each vinyl, then removed them straight away. I did have some slight bleeding underneath although nothing too bad. 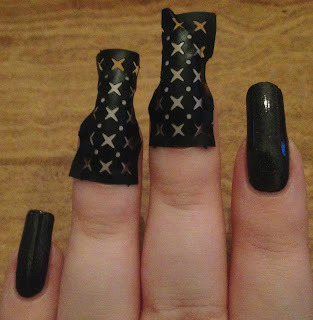 I then topcoated all of my nails to finish (and smudge!) my design. What do you think? I'm not sure it screams Rihanna, but I feel like it's definitely something she would wear. I was tempted to add some nail spikes, maybe next time! 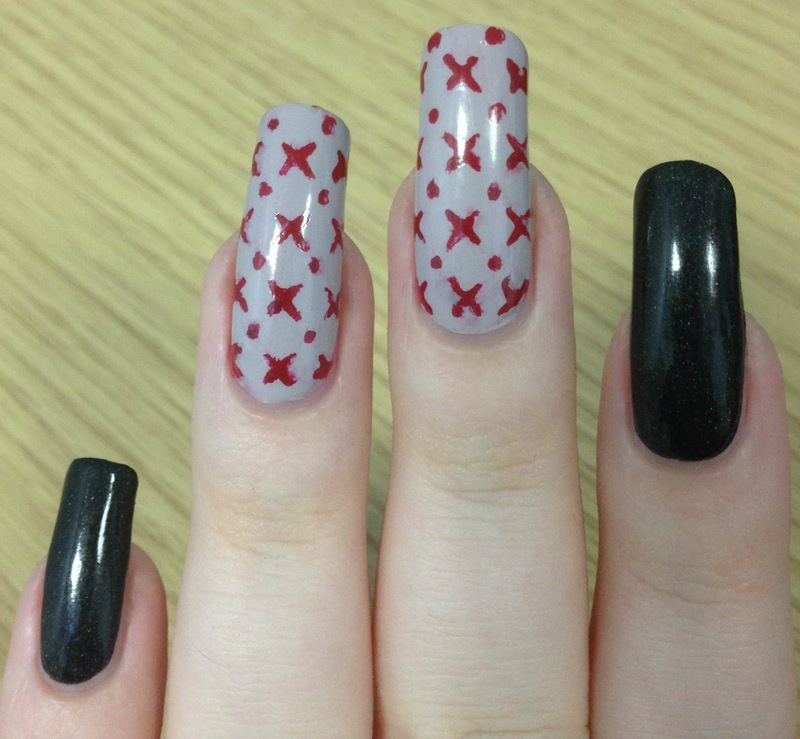 Somehow this is the first proper MeeBox mani I've done in ages - I'm going to try and start doing one for every box. I should also have full swatches of this months polishes up soon. YES to adding spikes!! This is cute, but it does feel like it is missing the Rihanna touch. Spikes would be perfect! It looks great. I think the spikes would take it over the top. (Ina good way). Next time spikes! Love the color combination-- they all work really well together! I agree that spikes would have taken it the next level, but I like it as is too! oooh, spikes would make it super edgy! I love the real estate you have on your nails! So jealous! I don't know if it's a Rihanna mani of some sorts but I freaking love it! !